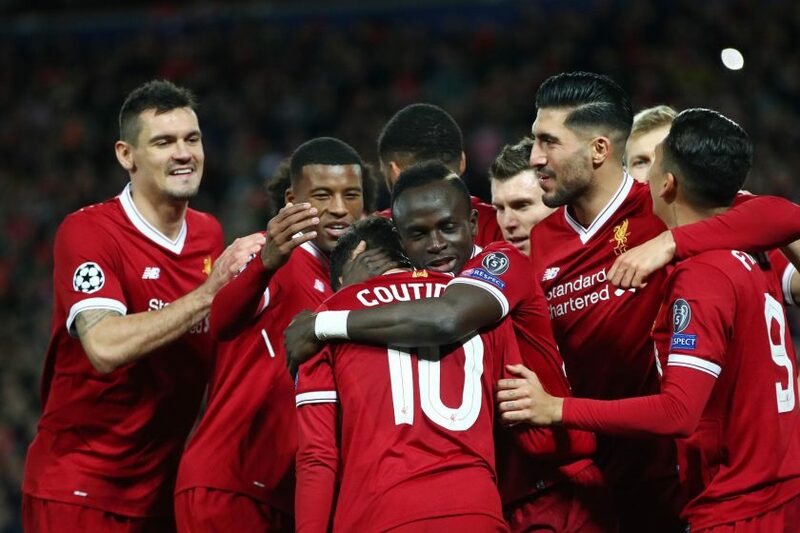 Liverpool Football Club: FC Liverpool won the match against Anfield with Newcastle United with a score of 2-0, both of which were goals scored by Mohamed Salah (40) and Sadio Mané (55). One step ago, the Liverpool team won the home of West Ham United’s 4-1 home game, before defeating FC Southampton 2-0. After 29 rounds, the team coached by German Jürgen Klopp is ranked second with 60 points, one more than Manchester United and two Tottenham, but José Mourinho has yet to play Crystal Palace. The championship leader is Manchester City, a virtual champion with 75 points. In the next round, FC Liverpool will play “Old Trafford” with Manchester United, but until then it will be the return from the optimum of the Champions League with FC Porto. In the tournament match played on “Estádio do Dragão”, the English team imposed a score of 5-0, so there is no question of the qualified team in the quarterfinals. “The Reds” finished unbeaten in Group E of the Champions League, where they had 3 wins and 3 draws. They finished in first place with 12p, being followed by FC Sevilla 9p, Spartak Moscova 6p and NK Maribor 3p. This year LFC lost only 2 matches in the Swansea City Championship (0-1 away) and the England Cup with West Bromwich Albion (2-3 at home), the rest had 8 wins and a draw in The Premier League, the English Cup and the Champions League. With the exception of the “Liberty Stadium” match with Swansea City, “cormorants” scored at least one goal in all matches played in 2018. Qualification is played, and players are more likely to think of the Manchester United match, which will have March 10th. The hosts can not count on the right defender Nathaniel Clyne, who is injured in the back and striker Rhian Brewster, who is injured on the ankle. This weekend came the Hungarian goalkeeper Ádám Bogdán, who was injured. An uncertain situation is the Dutch midfielder Georginio Wijnaldum and the extreme left Welsh Ben Woodburn, who are cool. Futebol Clube do Porto: FC Porto won the match played Friday night at “Estádio do Dragão” with Sporting Lisbon, with a score of 2-1, scoring three very important points. Hosts’ goals were scored by Iván Marcano (29) and Yacine Brahimi (49), while Rafael Leão (45 + 1) for the guests. Following this victory, FC Porto pulled out of the title fight for Sporting Lisbon, and only beating Benfica Lisbon by the end of the season. After 25 rounds of play, the team coached by Sérgio Conceição ranks first with 67 points, followed by Benfica Lisbon 62 points and Sporting Lisbon 59 points. So, with 9 stages before the end of the season, “Azuis e brancos” have 5 points ahead of Benfica. They are the best in the Primeira League, because they have the most wins, 21, the best attack, 68 goals scored, the best defense, 13 goals scored and especially they did not lose any matches. In Group G of the Champions League, the Porto group finished second with 10 points after Beşiktaş İstanbul 10 points, but before RB Leipzig 7 points and AS Monaco 2 points. A year ago, the Portuguese were eliminated in the finals of Juventus Torino (0-2 and 0-1). Unfortunately, their way will also stop this year in the finals, because they have lost 5-0 home in front of Liverpool and chances to return such a result are SF. Now they have lost their qualification, but they will try to beat the English, honor, record and supporters. The guests can not count on striker Moussa Marega, who is injured while left defender Alex Telles, defensive midfielder Danilo Pereira and striker Tiquinho Soares are uncertain. Until now, “Dragões” have played 5 times in the European Cups with FC Liverpool, but have never managed to win.